Remember, upholstery furniture cleaning helps preserve your investment. Relying on an expert will ensure that the upholstery in your home receives the care and maintenance it deserves. Our well trained technicians can provide you the highest quality upholstery cleaning in Oldsmar. 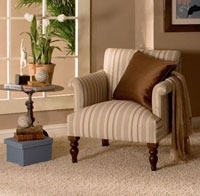 Upholstery cleaning provided by T-Bowe’s Carpet, Tile & Grout LLC gives new life to your furniture. Call us today!